Peter Gilmore, one of Australia’s most acclaimed chefs, takes you on a culinary and historical journey into the world of unique and almost forgotten vegetables. Each vegetable features at the heart of a recipe, and is further explored through a detailed profile and stunning photographs by Brett Stevens. The book looks at chef Gilmore’s decade-long passion for growing vegetables, and how it has informed and inspired his work as a chef. Also featured are four dedicated, like-minded growers he works closely with. They share their passion and knowledge for producing vegetables with a focus on flavour and sustainability. 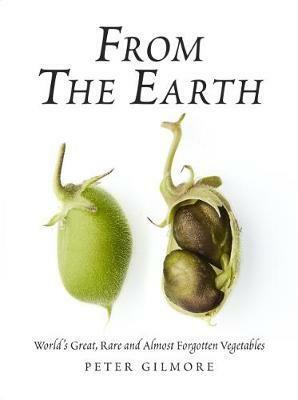 From the Earth is an embodiment of this passion, illuminating the amazing world of vegetables from seed to plate.